Famous people born on SEPTEMBER 24 are a little different from the rest of the Librans. Having this birth date, they are born on the cusp and so they may have some of both zodiac sign’s qualities. Mostly, they hang out with friends that can bring something positive to their world. A famous Libra born today on September 24 can be a bit indifferent at times and even calculative. In the business world, this could be a tool that could have both adverse effects and positive effects particularly when it comes to defeating the enemy. Needless to say, famous September 24 celebrities are creative. When things are normal, they can be a breath of fresh air. Typically, they are looked upon to be the peacemaker for the family. Keeping ties to their family and loved ones is important to them. It goes without saying that they care a lot about their friends and family. When they find themselves in love, they go beyond the call of duty and expectations. 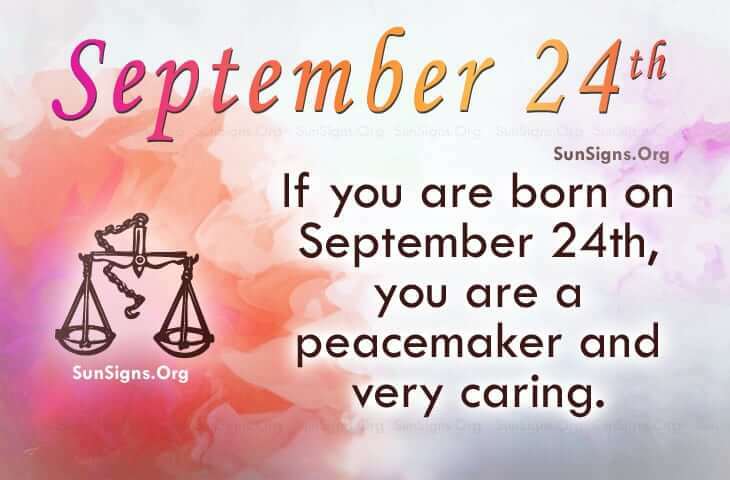 Famous people born on September 24th are emotional Librans who are domineering. This birthday is a cusp between Libra and Virgo. They could be a complicated combination. However, what’s consistent is that they may have trouble making decisions.